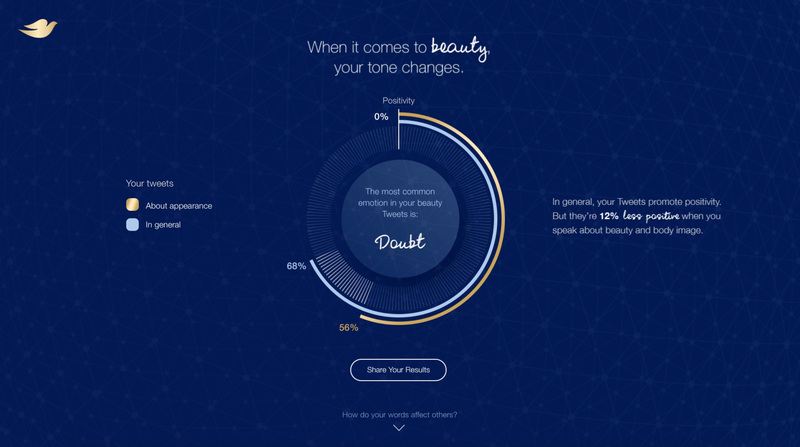 Dove commissioned new research with social media scholar and Principal Researcher at Microsoft Research, danah boyd, to better understand how girls are engaging with and effected by social media. 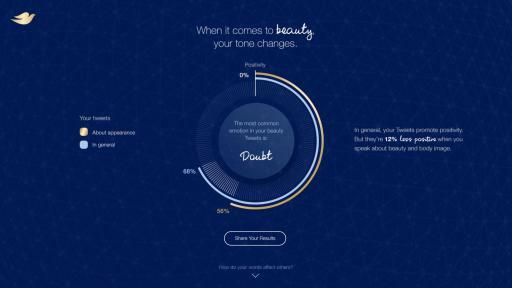 95% of girls have seen negative beauty posts, comments, snaps, videos or photos, and 72% see these beauty critiques at least once a week4. Step 1: Retweet an invitation from @Dove. 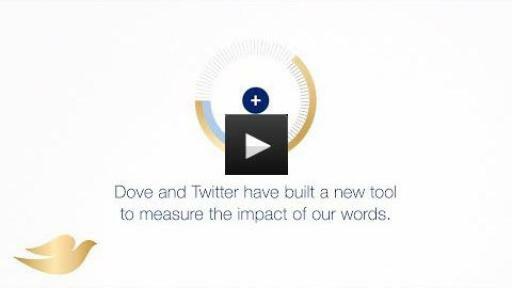 Step 2: The technology sifts through 6 months of history per user. 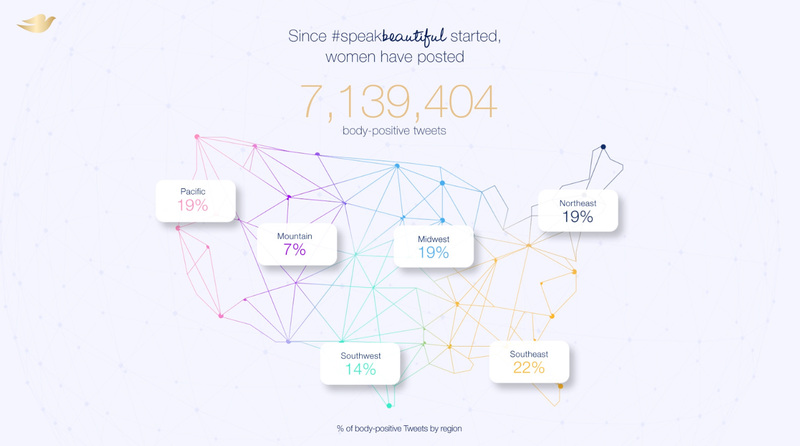 Step 3: Applies custom linguistic classifiers, built specifically for #SpeakBeautiful, to your real tweets. 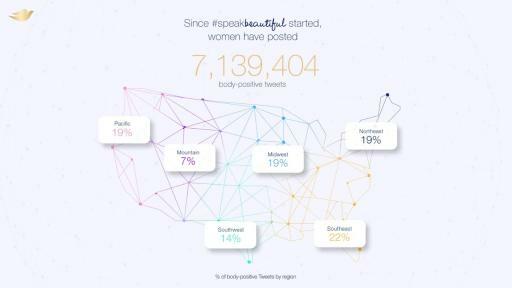 Step 4: The classifiers look for a broad selection of body and beauty-related terms and emotions within your tweets to analyze how your words are used in relations to the subject of your post or sentence. 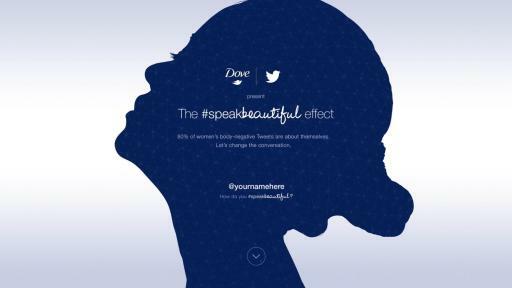 "Hundreds of millions of Tweets are sent every day, and we partnered with Dove to develop a tool that would raise awareness of how our online words can sometimes bombard others with negativity that impacts our confidence and self-esteem" said Patricia Cartes, Head of Global Trust & Safety Outreach at Twitter. 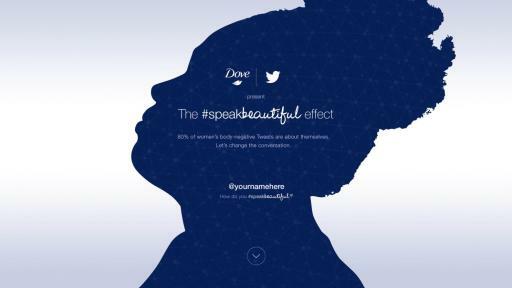 "At Twitter, we are proud to be working with Dove to empower the next generation to play a real role in making their personal feed, and larger online world, a kinder, more positive place." 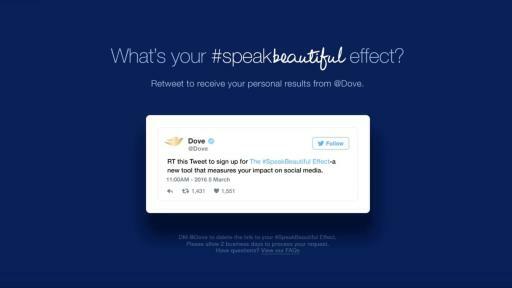 Stand up with @Dove to make social media a place where we #SpeakBeautiful. 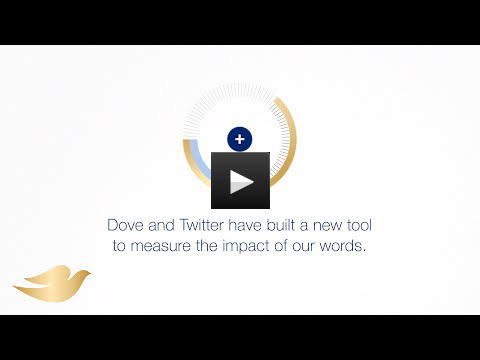 Visit Dove.com for more information. Unilever is one of the world’s leading suppliers of Food, Home and Personal Care products with sales in more than 190 countries and reaching 2 billion consumers a day. In the United States and Canada, the portfolio includes brand icons such as: Axe, Becel, Ben & Jerry’s, Breyers, Clear Scalp & Hair Therapy, Degree, Dove personal care products, Fruttare, Hellmann’s, Klondike, Knorr, Lipton, Magnum, Nexxus, Noxzema, Pond’s, Popsicle, Q-tips, Simple, St. Ives, TRESemmé and Vaseline. All of the preceding brand names are trademarks or registered trademarks of the Unilever Group of Companies. Unilever employs approximately 9,500 people across North America – generating more than $9.5 billion in sales in 2015.